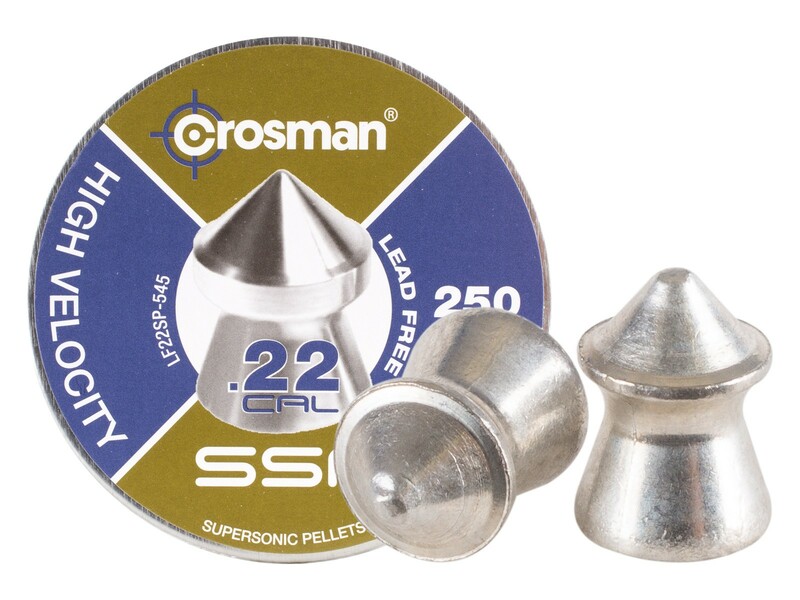 Eliminate unwanted backyard pests with high-quality Crosman pellets. 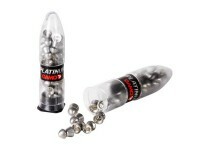 These pointed .22 caliber pellets are lead-free and extremely accurate. 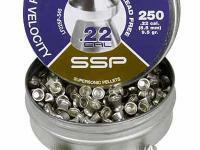 Stock up on these excellent pellets for your next hunting trip. Things I liked: [crickets chirping] I usually save my unwanted pellets for the small children to shoot but in this case that would be child abuse. Things I would have changed: This pellet is a game changer for the squirrels. If you were thinking that it was getting too easy to hit your target, just give these a try and consider the playing field leveled. You wont hit what you are aiming at so don't line up the target in your crosshairs. Will it go right, left, up or down... you never know until you let it fly (sort of like my drives from the tee box). What others should know: I bought these and 4 other lead free options to try out in my new TX200. After getting dialed in, the TX200 proved itself worthy of its reputation and capable of shooting everything I fed it except these garbage Crossmans. 5 shots each pellet and here were the results... H&N Baracuda Green 12.65gr = 0.7" group at 25 yards, Sig Wraith 12.35gr = 0.75" at 25 yards. 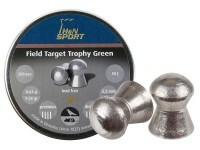 H&N FTT Green 9.56gr = 0.5" at 25 yards, Predator GTO 11.65gr = 0.55" at 25 yards, Crossman SSP 9.5gr = > 6" at 25 yards! It was unbelievably bad. So I tried it out in a Walther Terrus and it was still unable to print most shots on target. So then I tried it in a 1322 backpacker at 15yards and it was actually worse if that is possible. I am fairly confident I could produce a better grouping with these pellets if I shot them out of a slingshot. This is not a Crosman Premier, it is a Crosman though. The Premiers are legendary. It appears to be an alloy version of their Super Point it appears, which also is not accurate at all, even at 14.3 grains. The SSP may have done better if it was a 9.50 grain dome instead of a point. 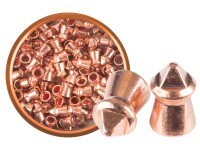 PBA pellets do better when they are Domes. 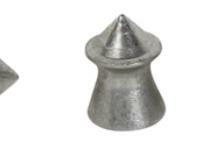 Crosman should forge this pellet from its Premier Ultra Magnum mold. Woodys World. Your review was hilarious but also very informative thank you, I especially liked " I usually save my unwanted pellets for the small children to shoot but in this case that would be child abuse." Things I would have changed: QC. They got one star basically because the system won't accept no stars. What others should know: Will never hit same place twice. Worst pellets I have ever used. I would pay someone to take 'em away.